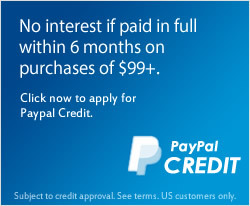 Ready to buy your next set of wheels? If you’re checking out wheel and tire packages, you may find yourself overwhelmed by all of the available options. 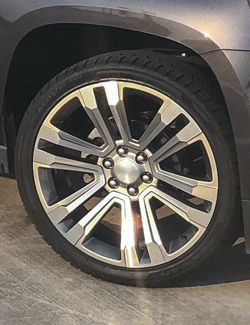 In this post, we offer up some must-read guidance that will make choosing wheel and tire combos easier and help you get the best set for your vehicle. Have you ever wondered what your Camaro and the modifications you’ve made to it say about you? Your car is a reflection of your personality — and that includes its wheels. Whether you’re looking for new Camaro wheels or are just curious about what your wheels say about you, this post is a must-read. Routine maintenance will ensure your rims and tires remain in great condition for many years. To help you get started, we’ve outlined 3 key maintenance tips for keeping your wheels in ideal shape. How Are Alloy Wheels Made? Not all wheels are created equal. This post outline the different wheel rim manufacturing processes used to make wheels for your car, truck or SUV. Ever wonder what TPMS is? Nearly a third of new vehicles no longer come with a spare tire as standard equipment, so your TPMS (Tire Pressure Monitoring System) is now more important than ever. Here's a quick read to explain the ins and outs of all things TPMS. 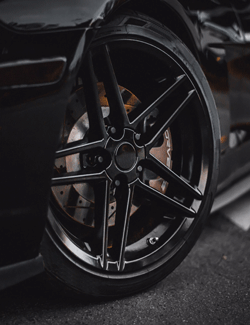 This wheel fitment guide will help explain the bolt pattern, wheel offset and wheel backspacing measurements that determine if a wheel is a fit for your vehicle. What is wheel runout? What does it mean when they say that a wheel or tire is out of round? In the post we explain the basics of wheel runout and why it matters to the quality of your ride. Now you get free road hazard coverage when you buy a wheel and tire package that includes Ironman tires! Losing a new tire to a nail or pothole can now be a thing of the past. OE Wheels has just rolled out a new line of Flow Formed wheels. Read about how the Flow Formed process creates wheels that are stronger, lighter and more precise than conventional cast wheels. OE Wheels is proud to announce the arrival of two great new GTI style replica wheels for many Volkswagen models. With many people getting a tax return soon, now is the perfect time to put a new set of wheels on your ride. Read about our most popular and newest wheels and make tax time wheel time! Revitalize your Hyundai this year with a new look. Our full line of OEM Hyundai and Kia wheels will breath new life into your vehicle this New Year. OE Wheels will be donating $5 from every lug nut purchase to Children's Miracle Network this Christmas and holiday season. OE Wheels has just rolled out several new styles of 8 lug Chevy wheels and 8 lug GMC wheels. Read more about these wheels for Chevy and GM trucks and take a look at the new styles. If customers leave reviews for other customers it helps them decide on the look and type of wheel that's best for their car, truck or SUV. When you submit a review with a photo of your wheels you'll be entered into our monthly Review Contest and have a shot at a $100 cash prize! Built using a next generation wear-resistant compound and featuring an advanced pressure distribution concept may sound like the description of an indestructible armored suite. But it describes the science behind the new Ironman iMove Gen2 AS tire from Hercules tire. We have teamed up with Hercules to bring this next generation tire to our alloy wheels for domestic performance vehicles. Whether it's your work truck, grocery getter or Saturday night cruiser, the last thing you want is your drink splashing in your lap because your wheels and tires are out of whack! These days, balancing the wheel and tire assembly is as close to rocket science as it gets with Hunter's Road Force Elite Balancer. OE Wheels is proud to introduce our brand new Midnight Black Chrome finish. See what makes it unique and take our quick 1-minute survey to let us know how you like it compared to other black finishes. You can help make sure you get the most safety and best mileage from your tires by following these three simple tire maintenance tips. OE Wheels recently launched a brand new line of custom aftermarket wheels for trucks and SUVs. Read the press release introducing the 4Play Wheels brand, and see some examples of how great these new wheels look! If you’re in the Sarasota/Bradenton area for any reason on February 4th, look for OE Wheels at Florida TruckFest. It’s being billed as the Southeastern truck and Jeep lifestyle event of the year! The Snowbird Nationals at Bradenton Motorsports Park was an action packed 3 day event full of Jet Engine Powered Dragsters, Semi Trucks and thousands of racing fans. OE Wheels is a proud sponsor of Floridian Kat Moller and the Matrix System Jet Dragster she drives for the Larsen Motorsports Racing Team. Find out more and see a great pic of this amazing dragster! OE Wheels is working with LS1Tech again, this time on an overhaul of an old workhorse Chevy S10 ultimately headed for the track. Read about the background leading up to the project and the updates moving forward, with links to all the applicable LS1Tech articles. A $25 million auto accessories company has prospered through Internet auction sales. Now its owner hopes the business has more prosperous times left in the tank. Read the article from the Gulf Coast Business Review.